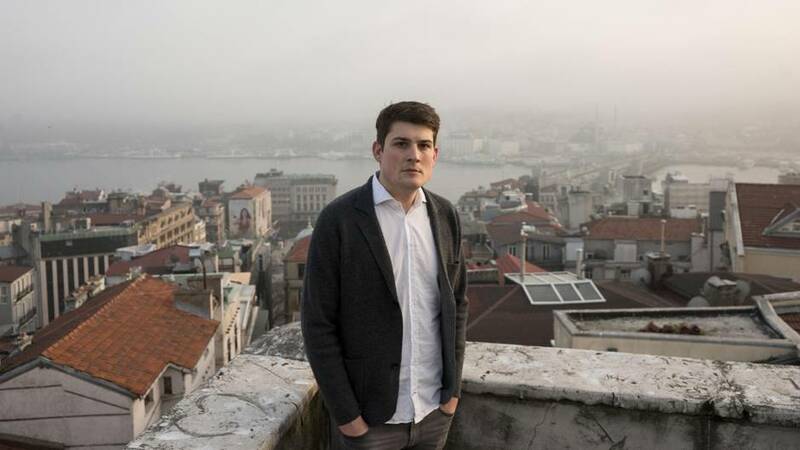 The Turkish government has refused to renew the press accreditation of German Stern magazine reporter Raphael Geiger due to alleged remarks insulting Turkish President Recep Tayyip Erdoğan. According to a report on the Der Spiegel website on Thursday, Turkey accuses Geiger of insulting the president of the republic. Geiger, who is now reporting from Athens, said he was surprised by the decision and doesn’t know what it specifically refers to. The Turkish government has not yet commented on the case. Geiger had been working in İstanbul since early 2015 and moved to Athens last month before the new accreditation was refused. The annual accreditation serves as the work permit for foreign correspondents in Turkey. Geiger said Turkish authorities did not officially reject his earlier application in December for renewal. However, he had been informed that the accreditation would not be renewed. According to a report by Reporters Without Borders (RSF) on Wednesday, Turkey ranked 155th, just behind the Democratic Republic of the Congo, in the world press freedom index. Along with Geiger, other international correspondents were not granted the extension of their accreditation for 2017, Der Spiegel said. A year ago former Der Spiegel correspondent Hasnain Kazim had left Turkey after renewal of his accreditation was rejected. Turkey’s ties with Germany became strained after Turkish-German Die Welt reporter Deniz Yücel was arrested by a court on Feb. 27 and sent to Silivri Prison in İstanbul as part of an investigation for publishing stories on the leaked emails of President Erdoğan’s son-in-law and Energy Minister Berat Albayrak. President Erdoğan accused Yücel of being a “German agent” and a “representative of the terrorist Kurdistan Workers’ Party [PKK]” on many occasions. The journalist is accused of disseminating the propaganda of a terrorist organization and inciting people to hatred and enmity. Nationwide protests took place in Germany and other European countries after Yücel’s arrest, with demands made for his immediate release.